No big tourist buses, guaranteed! Escape the city lights and spend a quiet evening on the private lake. 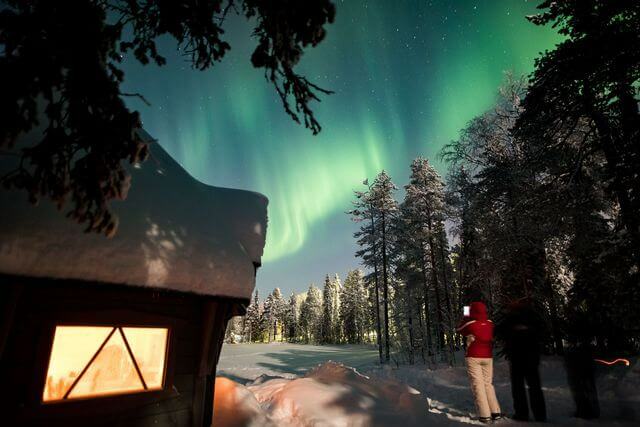 We'll go Northern Lights hunting and warm up in a cozy Finnish cottage. 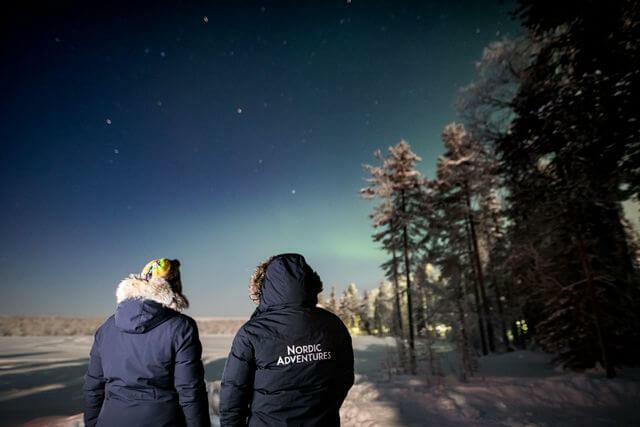 If you want to go Northern Lights hunting but don't want to get round up with dozens of tourist, our private cottage experience is a perfect choice for you. We specialize in small tours only. That way everyone will have our full attention and a chance to get a personalized experience. Escape the city lights and spend a quiet evening on the private lake. 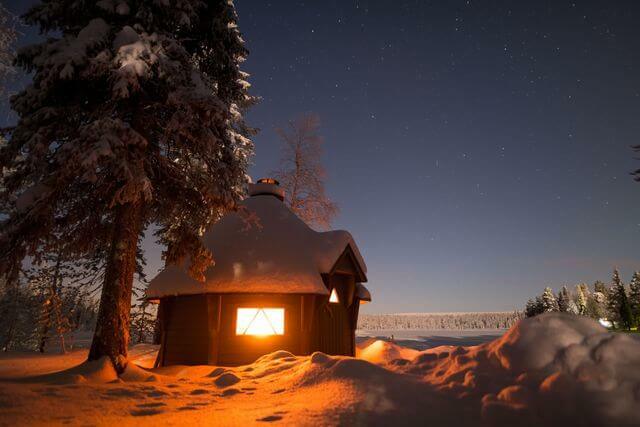 We'll go Northern Lights hunting and warm up in a cozy Finnish hut. 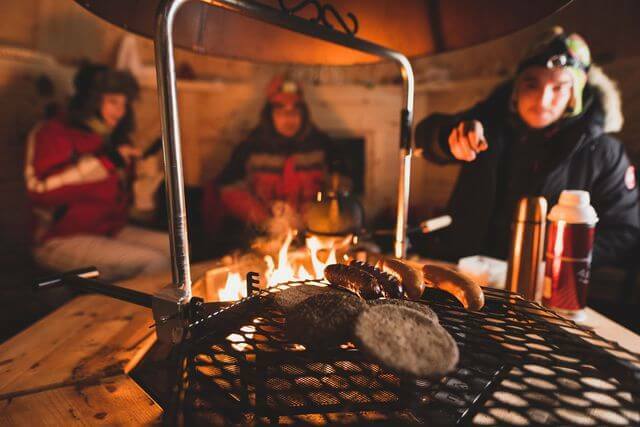 If you want to go Northern Lights hunting but don't want to get round up with dozens of tourist, our private hut experience is a perfect choice for you. We specialize in small tours only. That way everyone will have our full attention and a chance to get a personalized experience. We’ll pick you up from your hotel with our comfortable minibus. 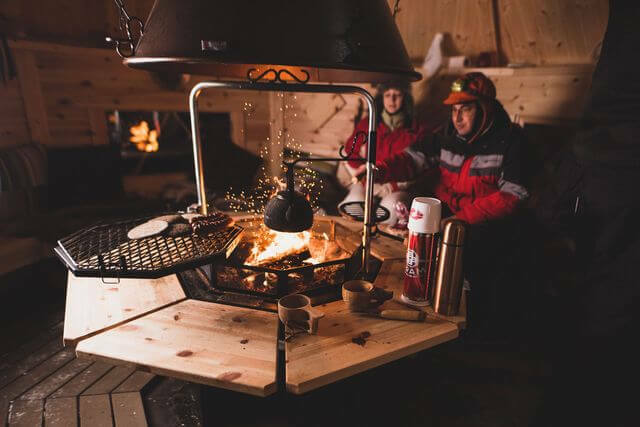 To escape the city buzz and experience the true beauty of Finland, we’ll drive to a cozy wooden hut at our private lake. We won't just leave you there waiting for the lights to appear. 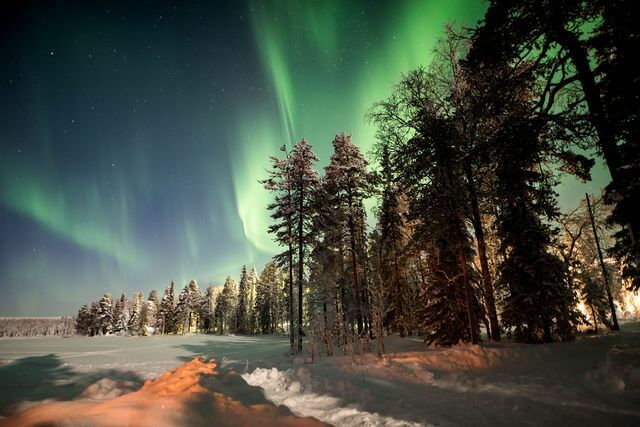 We want to show you the thrill of Northern Lights hunting. 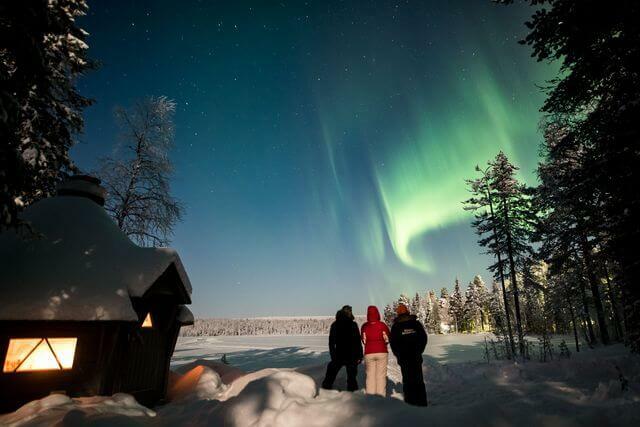 Locals here are used to Aurora Borealis, but they never take it for granted. In order to see the lights dance in the sky, you need to have good timing and just be lucky enough. Nature is unpredictable, but it's the thrill of a chase that we go for. 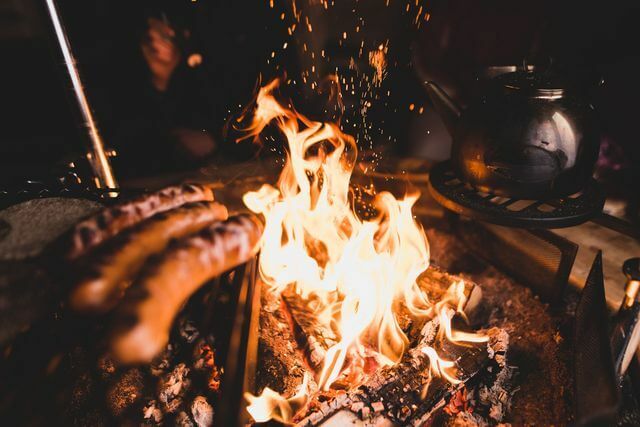 In addition, we wanted to immerse you in a traditional Lappish experience and take you on a private lake in our warm wooden hut, to enjoy juicy sausages and hot drinks. If the weather is nice, the sky is clear, and the solar activity was in favor of Aurora Borealis we will see the flickering green lights turn in shades of blue and violet. Please note that we can't predict the future, the weather, and whether or not you'll like this tour. However, we can tell you for sure that every time we organize this tour we feel lucky to live in such beautiful place. 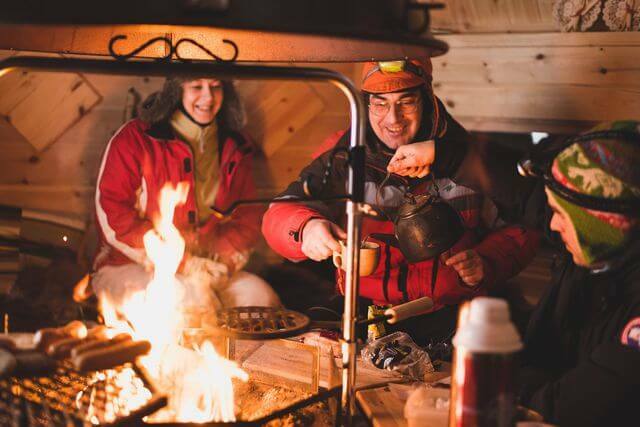 We are always happy to tell you more about Finnish lifestyle and to share some interesting stories about Lapland while we enjoy our hot chocolate in a cozy and warm wooden hut!